UPDATED: Tue., June 20, 2017, 8:39 a.m.
WASHINGTON (AP) – Killer heat is getting worse, a new study shows. “The United States is going to be an oven,” said Camilo Mora of the University of Hawaii, lead author of a study published Monday in the journal Nature Climate Change . The study comes as much of the U.S. swelters through extended triple-digit heat. 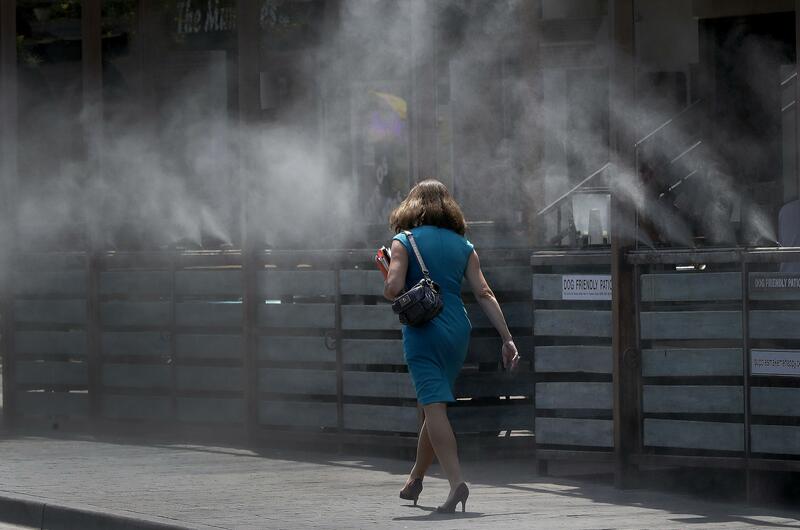 Temperatures hit records of 106, 105 and 103 in Santa Rosa, Livermore and San Jose, California on Sunday, as a heat wave was forecast to continue through midweek. In late May, temperatures in Turbat, Pakistan, climbed to about 128 degrees; if confirmed, that could be among the five hottest temperatures reliably measured on Earth, said Jeff Masters, meteorology director of Weather Underground. Last year 22 countries or territories set or tied records for their hottest temperatures on record, said Masters, who wasn’t part of the study. So far this year, seven have done so. Mora and outside climate scientists said the study and map underestimate past heat waves in many poorer hot areas where record-keeping is weak. It’s more accurate when it comes to richer areas like the United States and Europe. A hotter world doesn’t necessarily mean more deaths in all locales, Mora said. That’s because he found over time the same blistering conditions – heat and humidity – killed fewer people than in the past, mostly because of air conditioning and governments doing a better job keeping people from dying in the heat. So while heat kills and temperatures are rising, people are adapting, though mostly in countries that can afford it. And those that can’t afford it are likely to get worse heat in the future. “This work confirms the alarming projections of increasing hot days over coming decades – hot enough to threaten lives on a very large scale,” said Dr. Howard Frumkin, a University of Washington environmental health professor who wasn’t part of the study. Mora documented more than 100,000 deaths since 1980, but said there are likely far more because of areas that didn’t have good data. Not all of them were caused by man-made climate change. Just one heat wave – in Europe in 2003 – killed more than 70,000 people. Published: June 20, 2017, 7:41 a.m. Updated: June 20, 2017, 8:39 a.m.